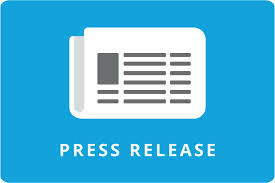 "write High Quality 410 word Press Release and submit to 3 PR Directories of Pr 3+ "
Press Releases are an often overlooked form of SEO, and are immensely powerful. We're experts at crafting Press Releases which call to action, and we will submit them to 3 Press Release directories with a Page Rank of 3+. Will send you the links of the submitted PRs so you can promote them through your Social Media profiles if you'd like. Will also send you the doc file of the PR. The sites we use are all quite awesome. We run the list regularly through website tools to make sure that their authority hasn't gone down. It is quite common for us to see Press Releases coming straight onto Page 1 of Google search while searched for your brand / exact keyword. And remember - the more PRs you submit, the more search positions you garner on search engines. So you may want to maximize the Gig with an upgrade of additional submissions. "write High Quality 410 word Press Release and submit to 3 PR Directories of Pr 3+ " is ranked 5 out of 5. Based on 1 user reviews.